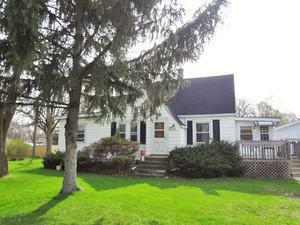 AWESOME CAPE COD SITTING ON TWO PARCELS OF LAND OFFERS GREAT SPACE, 4 BEDROOMS, 1 BATH, SEP DINING ROOM, SEP EATING AREA, ENCLOSED BACK PORCH AND A FULL BASEMENT. BRING YOUR DECORATING IDEAS TO MAKE THIS HOUSE A HOME! HUGE SIDE DRIVE AND A 2 CAR DETACHED GARAGE WITH A MASSIVE BACK YARD. GREAT LOCATION CLOSE TO ALL MAJOR HIGHWAYS, O'HARE, SCHOOLS, ETC..NEWER WINDOW AND DOORS FROM O"HARE SOUNDPROOFING IN 2000. Cooperative Compensation: 2.5% - $200.